On Wednesday the Electoral Court handed down its judgment in the case brought against the chair of the Independent Electoral Commission Advocate Pansy Tlakula. Five opposition parties, led really by United Democratic Movement leader Bantu Holomisa, had brought an application claiming that she was unfit to stay on in office, because of her role in a headquarters leasing deal. The Public Protector had previously found her guilty of misconduct, after finding that she had influenced the process of awarding a contract for a new headquarters for the IEC to a company in which her business partner, ANC MP Thaba Mufamadi, had an interest. The Electoral Court agreed with the Public Protector, finding that the National Assembly must now investigate her conduct, with a view to removing her from office. By STEPHEN GROOTES. When judges write, you can sometimes see parts of their emotions through the words. Judge Edwin Cameron can feel strongly about issues, and writes powerfully. Chief Justice Mogoeng Mogoeng occasionally sounds like a kindly pastor, with a sermon in hand. Judge Nigel Willis, after being reversed by the Constitutional Court, has written with a kind of frustrated fury. Judge Lotter Wepener, who wrote the Tlakula ruling, is clearly meticulous, maybe because he knows that this could be appealed, that it’s a very important matter, and that it is going to be discussed by politicians in Parliament. That’s what probably what makes it quite so devastating. Devastating not just because it is yet another finding against a person whom I, and many others, have held in such high regard, but because it seems almost impossible to appeal against. It appears to cover all the bases. It is impossible to read this ruling and not feel that Tlakula has done something wrong. Badly wrong. Morally wrong. Something that was clearly aimed at helping out a mate, while misspending money in the process. The worst kind of stupid money-grabbing wrong. What many people would call corruption. Disgracefully wrong. Wepener (with the other two members of the court, both advocates, agreeing) starts by setting out the law. In minute detail he goes through the Electoral Act, the grounds of the removal of a commissioner, what it means to bring a body into disrepute. Then there’s the Public Finance Management Act, in much of its great detail. In particular, the duties of a Chief Accounting Officer are spelled out. That was the role Tlakula played in all of this. Peppered through all of this are details and quotation marks pointing to the Public Protector’s report, and the PWC auditors report. Tlakula says that she did nothing wrong, did not benefit from the deal, and that it was all above board. She also says that the decision to dispense with normal tender procedures was because they were running out of time, they needed to move out of the old headquarters after the 2009 elections, and move into the new one in time for the 2011 Local Government Elections. As a result, she took the decision to use a quicker procedure. I summarise. Having deliberately embarked upon an attenuated tender process, the respondent chose not to abide by the requirements of the law. The respondent’s reference to an error having been made (in hindsight) is refuted by her own evidence that she deliberately took the decision not to insist on the lawful procurement process to be followed. She chose not to abide by the law. Her actions in this regard are unlawful and as such, in our view, constitute misconduct. Save for the urgency issue, which is untenable, the respondent provides no justification for her deliberate decision to break the law. Once the respondent had taken this unjustifiable decision, a plethora of unlawful actions followed. They include the failure to advertise the requirements of the Commission according to the law and a failure to implement the three tiers of bid specification, evaluation and determination. In other words, it was Tlakula’s decision to break the law, and that is misconduct, and she is therefore also responsible for all the decisions that followed that were also unlawful. Tlakula had claimed that she had certain powers under the Public Finance Management Act to throw out the tender procedure. Wepener says that is “wholly unsubstantiated and without merit”. All through this ruling is a sort of sorrowful shaking of the head at Tlakula’s attempts to explain herself. About the need for accountability, and how she cannot claim after the fact that she was acting in a certain way for certain reasons. In her second response the respondent states that, being aware of the fact that the process regarding the Menlyn Corporate Park office was flawed, and, being uncomfortable with the existing practice that avoided a procurement process, she deliberately brought the process to an end and commenced the new process. However, she had done so in exactly the same unlawful fashion. The very reason given by the respondent for ending the one process was then used in the new process. In this regard, she admits that she did not ‘insist on the process being a full tender process in terms of the Commission’s policy’. She does not explain why she did not so insist on adhering to the policy. He is also frustrated by her refusal to recuse herself from the panel that made the decision to give the tender to Mufamadi’s company. Much was made of this during the hearings in this case. The parties’ advocate David Unterhalter (you can call him by his first name, Professor) had pointed out repeatedly that there was no situation in which she could have made a decision involving this amount of money on a contract that included her business partner and stayed dispassionate. Wepener agrees. The prescribed advertisement period is 21 days. Elections two years after that time could not have justified the shortened period. Proper explanations as to why those unlawful actions occurred are absent. As a result I am constrained to infer that the respondent intended to favour her business partner by her actions. Even if she acted unintentionally, the perception that she favoured her business partner intentionally, is unavoidable. The last sentence of that paragraph is the killer. 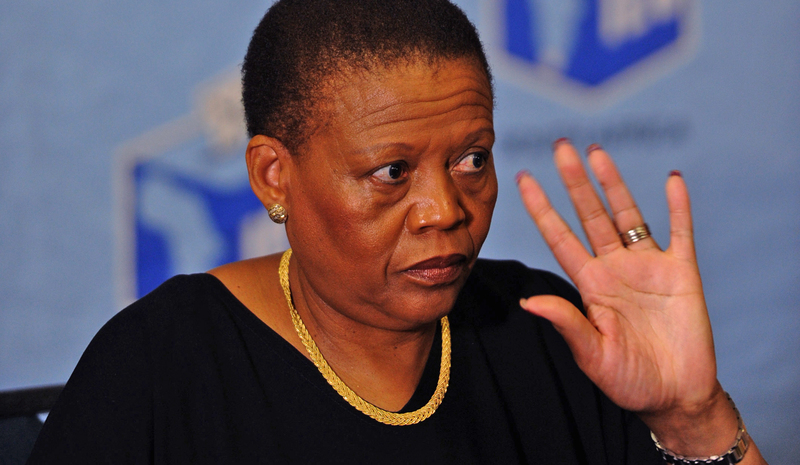 It’s unavoidable that Tlakula favoured her business partner. Intentionally. The court here has made what it can, a recommendation. That recommendation is that a committee of the National Assembly finds that Tlakula “has committed misconduct warranting her removal from office”. That is as far as it can go. That’s pretty far. While the ANC has criticised the parties who brought this case, it will still be tough for a parliamentary committee, which it will naturally dominate, to save her. That committee will surely have to follow this recommendation. The party itself says it will “await the outcome of these processes” before commenting on this. These are processes it will dominate, by the way. This is uncharted territory for us all. Tlakula is a person who has a high moral stature. Had. The fall from grace of someone as respected as Tlakula is going to be hard. She has already taken the Public Protector’s findings on review. But this ruling didn’t rely just on those findings; it also has the PWC report. Bluntly, it seems all but impossible for what are now three negative findings to be overturned. Looking from the sidelines, it is probably the most honourable thing for Advocate Tlakula to resign. Now. Anything else is going to be messy, prolonged, and, quite frankly, beneath her. If she somehow wins, it’s going to be claimed that the ANC saved her. And that we don’t need. She could keep fighting the findings in court; it is easy to understand that, and respect it. If she does win in the end, her name would be cleared, and she would surely be first in line for the next Chapter Nine spot. Or the next big international job South Africa has influence over.